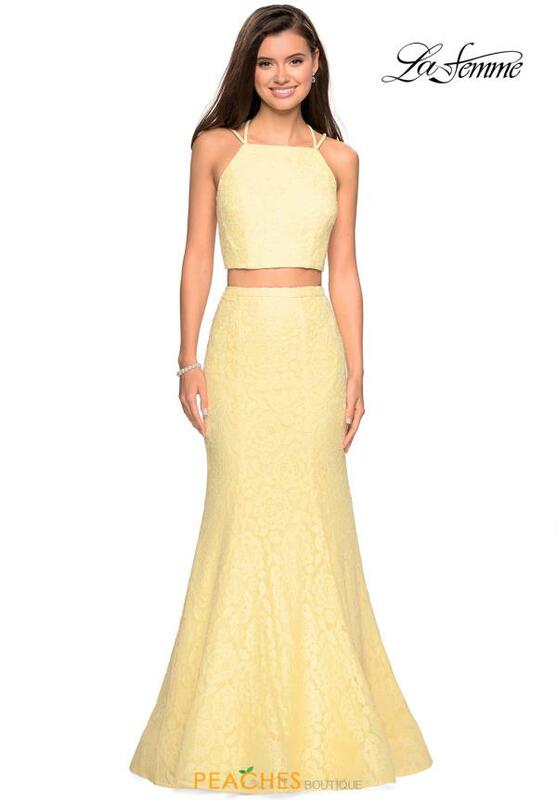 Have all eyes on you in this marvelous dress 27452 at your upcoming senior prom. This eye catching style starts off with a fitted crop top that features a classy high neckline and a one fo a kind strappy open back. This two piece style is made in a luxe lace fabric and is paired with a fitted mermaid skirt.